​Jane Freedman is Professor of Politics at Université de Paris 8, where she leads major international research projects on asylum and migration and violence against women. She is also a Specialist in Gender Equality with UNESCO, Paris on issues relating to: Women asylum and migration; Prevention of violence against women; Gender, peace and security; Women’s political participation. Jane Freedman has published extensively in English and French. ​Her recent books are: Gender, Violence and Politics in the Democratic Republic of the Congo (Ashgate, 2015), Gendering the International Asylum and Refugee Debate (Palgrave Macmillan) and Engaging Men in the Fight against Gender Violence, (Palgrave Macmillan, 2012). Tuesday 14th of June - The Centre for Global Women’s Studies, NUI Galway, hosted a book launch for Professor Freedman for her recent book: Gender, Violence and Politics in the Democratic Republic of the Congo (Ashgate, 2015). 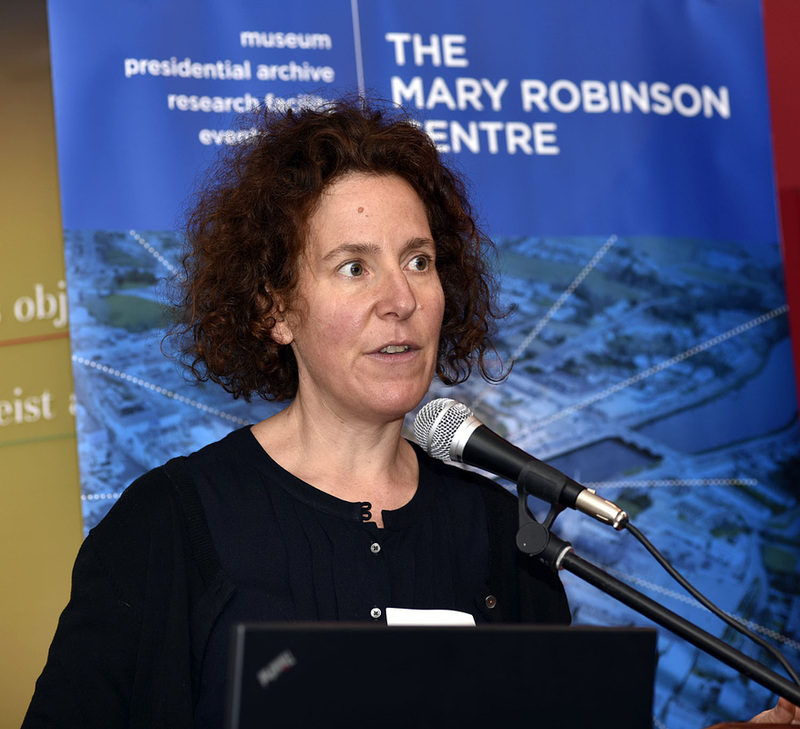 Friday 17th of June - Professor Freedman chaired a panel at the Inclusive Centenaries Conference, an event hosted in collaboration between NUI Galway, the Galway County Council Intercultural Forum and The Mary Robinson Centre, in Galway. Saturday 18th of June – The National Museum of Ireland, Country Life hosted a full day workshop ‘Immigration and Ireland’ with a focus on women. It explored the impact of immigrant policies on individuals and communities in Irish society and Professor Freedman gave a well received keynote address “Women's Experiences in New and Ongoing Refugee Crises.” It was organised as part of the Museum’s temporary exhibition Migrant Women - Shared Experiences. In addition to the activities above, Professor Freedman spent time collaborating with The Mary Robinson Centre and the Centre for Global Women's Studies to generate commentaries, essays and articles to be disseminated. Tuesday 18th of October - Ms Ntububa​ spoke at a lunchtime seminar hosted by the Irish Centre for Human Rights and at the Gender ARC seminar series in the afternoon, both at NUI Galway. Wednesday 19th of October, 6:45pm - The Mary Robinson Centre hosted a public screening of the moving documentary War in Eastern Congo at the Ballina Library. We were joined by filmmaker Dearbhla Glynn and Salomé Ntububa for an interactive discussion about the war and life for women in the DRC afterwards. Thursday 20th of October - Ms Ntububa spoke at Jesus and Mary Secondary School, Gortnor Abbey in Crossmolina as part of The Mary Robinson Centre's Bringing Human Rights to Life 2016 School's Programme. ​Friday 21st of October - Celebration of Congolese culture at Ballyhaunis, private event. 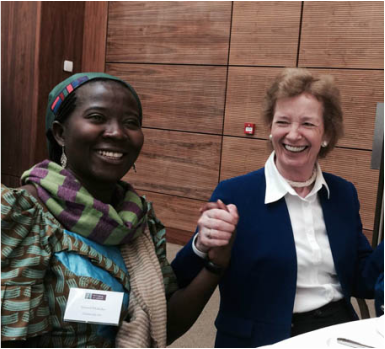 In addition to the activities above, Ms Ntububa spent time collaborating with The Mary Robinson Centre and the Centre for Global Women's Studies to generate commentaries, essays and articles to be disseminated. ​For more information about these events, please contact Natasha Price, Academic Coordinator, at Natasha@maryrobinsoncentre.ie.